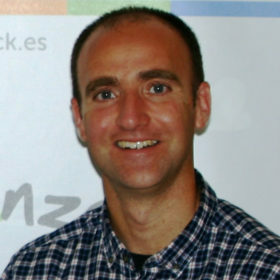 Daniel González de Vega is the co-founder and CEO of Smartick. Daniel earned a Master’s in Industrial Engineering from the University of Málaga and an MBA from INSEAD and later began his career in Madrid as a consultant at Accenture. There he met future co-founder Javier Arroyo. Like a true consultant, Daniel became an expert in learning methods and the education market landscape. His main observation was that the most successful tutoring business employed archaic methods. In 2009, Daniel asked Javier to join him in developing Smartick Math, an online teaching platform for students. In 2011 they launched a pilot in several schools in Madrid. The duo launched the product commercially in 2011. Smartick is on a mission to increase children’s knowledge, learning capability, and attitude towards study. Smartick makes math learning fun and more effective for children, ages four to fourteen. The company built an online adaptive platform that teaches mathematics skills. Smartick uses the latest Artificial Intelligence (not simple adaptive EdTech), to create a unique / personalized path for each child, and constantly adjust the program to help kids fill in gaps in their knowledge and constant challenge them without frustrating. It is not another online program that spits out exercises to keep frustrating kids. It is responsive, agile, adaptive. With Smartick’s after school program, children participate in a daily 15 minute session, which can be performed anywhere, anytime. It has been used by more than 32 000 children in over 100 countries – 94% of which have seen an improvement in their math calculation, reasoning and problem-solving skills. Smartick’s real-time adaptability caters to the specific learning ability of each child. Students earn “ticks” for each module completed, making learning feel like play. Customers choose it because of its proven method and customer care. Its team of experts built a product that is adaptable and engaging.